Vancouver, BC – G4S Secure Solutions (Canada) Ltd. has agreed to pay $290,000.00 to members of IAM Local Lodge 16 for not providing and contributing toward the cost of their BC Health and Wellness Plan Premiums (BCMSP) as outlined in their Collective Agreement. The settlement was the result of a grievance filed by the IAM upon discovery that the company had violated the Collective Agreement by not providing and contributing 100 percent towards the cost of the benefits as agreed to between the parties. 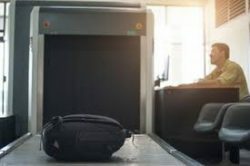 The violation primarily affects Airport Security Screeners hired since June 2014 throughout the Pacific Region, when the company unilaterally introduced a change in practice, through the introduction of a new hire form.